After attending Hybrid Turkeys webinar on Turkey Genetics 101, Treena Hein, a regular contributor for Canadian Poultry Magazine, wrote an article summarizing elements of Turkey Breeding. Treena's article below highlights the past, present and future possibilities in turkey breeding. As it did for most livestock species, substantial genetic improvement in turkeys started in the 21st century. In the 1960s, hybridization of turkey varieties began, followed by the development of pedigree programs for Large White turkeys in the 1970s. In the 1980s, feed conversion testing came in, and selection index methodologies (simultaneous selection for several traits) were put in place. In the 1990’s, breeding moved forward again with the use of ‘mixed model equations’, which take both phenotype (observable traits such as body weight) and family genetic information into account. Today, Willems explains that turkey breeders around the world focus on balanced breeding, selecting turkeys based on a variety of traits that meet the needs of the market, while maintaining the overall welfare of the animal. He notes that the importance of each trait in a given breeding program depends in part on customer expectations in various market segments. In general, he says most markets are looking for a turkey that offers production efficiencies, physical soundness (animal welfare) and strains which can be sustained well into the future. The traits that are commonly included in breeding programs are weight, breast meat yield, egg production, feed conversion and leg strength. Willems notes that before genomic selection came into the picture, the turkey industry realized average yearly improvements of approximately 2 per cent in body weight, 1 to 1.5 per cent in feed conversion and 1 per cent in breast meat yield. To further boost production efficiency, and to improve industry environmental sustainability as well, a new project kicked off in May 2017, where Hybrid Turkeys received $6 million in funding from Genome Canada. 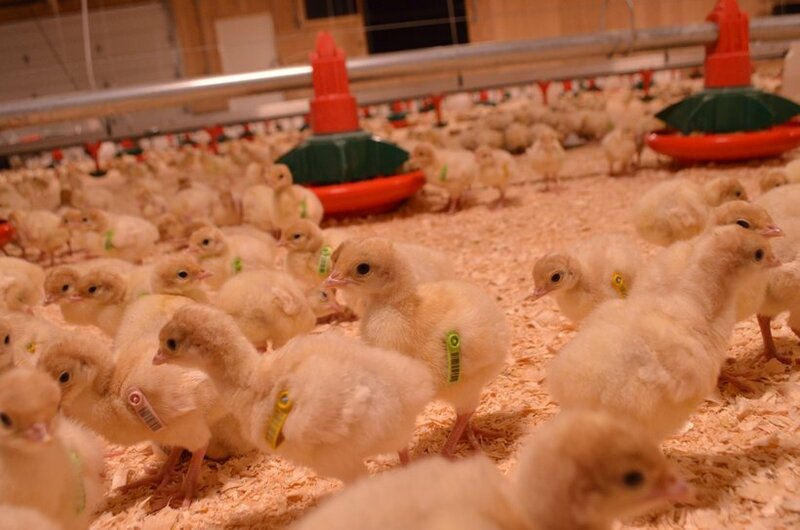 This genomic selection research project is being led by Hybrid Turkey geneticist Dr. Ben Wood in collaboration with University of Guelph professor Dr. Christine Baes. Besides providing better economic gains through the entire turkey value chain, the research aims to provide environmental benefits through improved feed efficiency, reduced manure production and lower greenhouse gas emissions. Beyond traits related to production and sustainability, global turkey breeding programs include evaluation of walking scores to ensure physical soundness of the birds. Willems says walking scores are closely related to turkey health and survival, and including them in breeding programs ensures that, as the size of the bird increases, the overall stability and strength of the legs that support the bird are also improved. Willems notes that although genomic selection is an integrated part of today’s turkey breeding programs, the extent of the possibilities that genomics might provide are still being evaluated. However, in addition to applying new advancements such as genomics, another important factor in achieving breeding gains is the safeguarding of sources of genetic variation. This story originally appeared in the April 2018 issue of Canadian Poultry Magazine. Reprinted with permission.